ein hod: why Judas did what he did ? Yeah, yeah, Jesus Christ gets all the press. He's noble, good hearted, infallible, blah, blah, blah. BORING! Sure, he founded the biggest religion in the world, but where's the drama? Where's the passion? Where's the suspense? 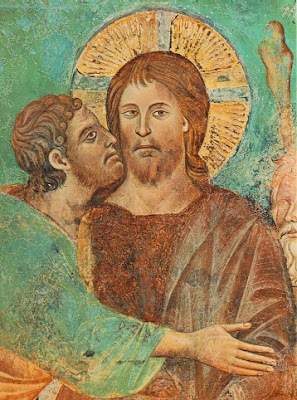 Everybody loves a tragedy, which is probably why the figure of Judas Iscariot is such an object of fascination in the literary world. After all, we pretty much get Jesus' motivation. At least within the context of the story, it's hard to miss. He's the son of God. He's here to rescue us all, die on the cross, rise again, etc., etc. But the motivations of Judas, a key player in all this, are much murkier and touch on some universal philosophical questions.